Saturday Pages: Mini Reviews for Maxon and Portia by Christina Bauer! Happy Halloween! I hope you are all enjoying this day, handing out candy, dressing up or reading and/or watching some spooky movies! My plans are to watch Nightmare Before Christmas before work tonight... Yes, I work on Halloween night and I'm extremely bummed about that! Today for Saturday Pages I have a pair of mini reviews for two ARCs that I got via NetGalley (thank you Ink Monster) and that are part of a series that I'm really enjoying, Angelbound and Angelbound Offspring! Since I fell in love with Myla and Lincoln in Angelbound I have continued to read all the books in the series, and although I haven't felt the same love for any of the books as for the first one, they are still good and fun to read! This is the story of Maxon as an adult, and as such we don't really see as much of Myla and Lincoln even if they do appear here and there. I'm pretty sure this book can be read without having read the previous three books, because we get enough little tidbits here and there about past events that are relevant to understand. The book is told in dual POV, Maxon's and Lianna's. I really liked Lianna, how she was trying her best and standing her ground, I could really relate with her hate of being addressed as "a girl" in a demeaning or patronizing way! I loved that she could stand her own, even if she had some growth to do and adapt to the new situation! Maxon is one of those alpha-ish guys that never really veers into the arsepha side of the spectrum, and that never treated Lianna as a "must be protected and therefore underestimated" being, so that was a big plus to him. Reading his POV felt like a rather realistic male thought process, so that was also another plus. He was a bit hormone driven and hot and cold on occasion, but he had his own issues that could justify the back and forth! As far as world building goes we get a look at Elementals and their society and culture and how they interact or not with our previously known realms, as well as a little look at the human realm. The plot is both a mix of Lianna's quest and an Elemental and how to remove a tirant from power and Maxon and Lianna's relationship development. The pacing was fast and so I read the book quite quickly! I guess I felt like it lacked maybe a lil bit of depth or lenght to develop the relationship a bit more, because it felt a lil bit too quick, even if we have to accept some supernatural connection given the world the book is set in. I guess that my main complain and why I give this one 3 stars, but on the very good side of the three stars! 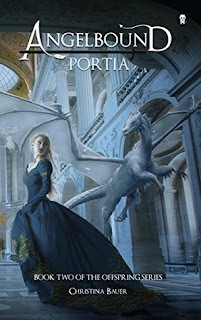 Portia is the second book in the Angelbound Offspring series and just like Maxon, it can be read as an standalone, not only from the Angelbound series but also you don't need to have read Maxon to read this one, but I'd recommend that you read them all, everything will make a lil more sense! Portia is a lil bit different from the rest of her family, not so much of a fighter with her hands, more with her brain. She's always been a bit of a second rate sort of royalty given her marks and has got more scorn than respect. I loved that she was a bookworm and had a big connection with both her maternal grandmother & grandfather! I really liked that Portia could stand her own and show her family (and the general population) that she doesn't need to be a big physical fighter to be able to do something to save the world! And to do so she does have some help, namely Tempest, the Furor Emperor, a full on demon and dragon!! I really enjoyed the quest to save all the realms that Portia and Temptest embark themselves on, I really like the world building that was done during the quest, but I felt that the romance progression was a bit too fast (even faster than it was on Maxon) and although it is understandable to some extent once something is explained in the narrative... It just felt too fast and too convenient. I'm tempted to give another star to this one or at least a half star because of the Furor dragons and the ending because I really loved it, but I still felt that the book was a bit too rushed and maybe a bit too short? I wouldn't have minded 50 more pages or so! This one gets 3 stars but once again, 3 to 3.5 stars and the good side of the 3 stars! 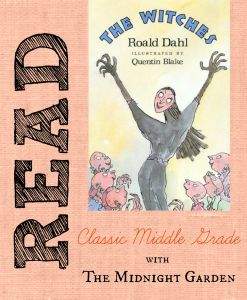 Friday Reads: #TMGReadAlong - The Witches by Roald Dahl! As my second review for this week's Friday Reads I have this month's book for The Midnight Garden Classic YA & MG challenge and readalong! This month's book it was a very apt & Halloweenie book that I think I would have enjoyed more as a child than I did as an adult. I ended up really enjoying this book but I was so very put off by the beginning and the insistence on the evil of witches and them being ONLY women... It rubbed me the wrong way and it really took me a while to get into the story! 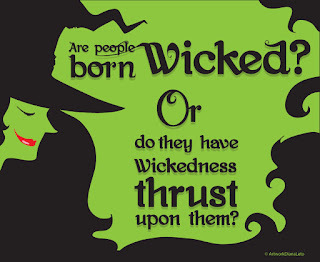 Once I managed to get past my irritation and dislike of the insistence on the evilness of women as witches (I think this is an issue of me reading this one for the first time as an adult and not as a kid) I found this one a really endearing and creepy book! I loved the relationship between our main character and his Norwegian grandmamma and how they both found comfort in each other and how she tells him about the witches and how they become partners in crime in both adventures and fights against the witches! The creepy factor in this book is quite high and I liked it, making it perfect as a Halloween read and as October's book for the #TMGReadAlong! 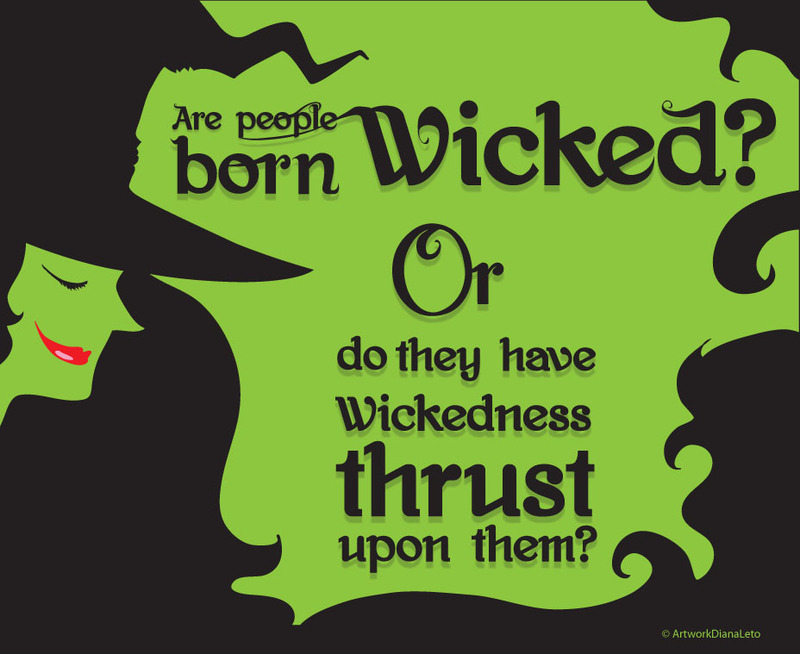 The description of the witches, the presence and evil from the High Witch herself, little boys turned into mice! I also enjoyed how the ending was hopeful and full of planning and plotting and fighting the evil witches for our boy and his grandmamma, even if it is a very open ending, since we don't know what will happen despite their plans. All in all, I give it 3 stars because I ended up enjoying it, I loved the grandmamma but I really hated the characterization of witches and women-witches from the very beginning. 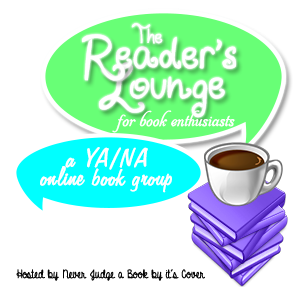 Friday Reads: The Reader's Lounge Book Club reads The Young Elites by Marie Lu!! Happy Friday! Just one more day till Halloween!! I hope you all have your costumes ready, some candy to hand out (and plenty to eat) or have plans to spend the day watching/reading some creepy movies/books! I'm starting this week's Friday Reads with this month's book for The Reader's Lounge Book Club! I was quite excited when the book I had voted for got chosen for October and also glad that once I read it I had the sequel readily available! I had wanted to read The Young Elites since it was published last year because all my bloggy friends reviews were great but they also mentioned a bad cliffhanger, so I was determined to wait till the series was over to read it. BUT that changed when it was chosen as October's book for my book club! I was excited because I had voted for it and also relieved because the sequel was coming out this month too. And boy am I glad of that! I will be reading The Rose Society ASAP because the ending for The Young Elites packs with the punch to the feels!! Cliffhanger alert! Adelina is not your "usual" YA main character. She could be qualified more easily as a villain than a hero I guess, but she doesn't feel like an evil character, not purely and not one dimensionally either. Adelina was marked by the plage and has been shunned by everyone and mistreated by her father. It's no surprise that she finds herself fighting back in any way she can, and that her moral compass is more than a bit awry. We meet a lot of morally grey characters. The Dagger Society members are fighting for themselves and their political agenda and also for the rest of the malfettos, even if they don't do it openly or fight for them all. Raffaele and Enzo are both leaders in their own way, with their own different powers and their own different ways to exert control and to wield power that was taken from them. Their relationship with Adelina is very interesting since both have different opinions of her and interact very differently. There are three POVs in this book, Adelina in 1st person and Enzo and Teren in 3rd person. While this could have felt odd, it didn't, it adjusted quite well with how the story is Adelina's so that's why we follow her path more closely, and I love how we are privy to her mind's inner workings! Teren is the main antagonist of our book, the High Inquisitor and that has dedicated his life to pursue, capture, torture and kill malfettos. He was also an extremely fascinating character, very creepy and disquieting with his extreme devotion to his cause and his self-hatred! And also his own quest for power. I loved that the relationship between Adelina and her sister Violetta is so important in this book! They have a lot of love but also a lot of resentment between them, and despite Adelina always having felt second rate compared to her sister, she doesn't care what she has to do to keep her safe! Great to see how a familial relationship is as important or maybe even more than others like romantic ones in this book. The book has a few lulls here and there while Adelina gets used to her new surroundings or gets trained and plans are made, but once the action picks up, this is a mind-blowing rollercoaster of powers used, fights, explosions, deaths, betrayals and more betrayals and more deaths! And then you get to the epilogue that makes you even more excited and scared of what's to come in the next book! Very much deserved 4 stars to this one! Release Day Review: Gabriel by Nikki Kelly!! Things continue to be a bit hectic here now and then with still more things to sort around the new apartment, trying to have some sort of social life, work and added to that a course I'm taking at work... But no matter how busy I am, I always find time to read, because reading is my refuge... what I don't always find time for is blogging and writing reviews, but I have decided to do the best I can and not let blogging stress me (much!). Today is Tuesday and as such is release day for a lot of awesome books because this October has been terrible on my TBR pile and my wallet both! But I want to celebrate specially the release of Gabriel by Nikki Kelly and share my ARC Review for it! 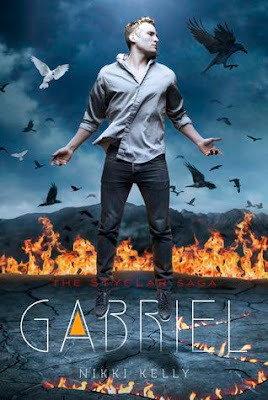 Gabriel was a perfect game changer of a sequel and it does all things that a good sequel ought to do: add a new layer to both our character, see how their relationships change and are challenged and peel away new layers in the world building and the plot, leaving us with a bit of whiplash after some reveals that do turn our world upside down! I will try by best to keep things as spoiler free for book one as possible but to be safe just run along and read Lailah right now! Done? Well, Gabriel picks up right where Lailah left us and that was a doozy! So much has changed for Lailah and Gabriel and Jonah! All three of them have quite a bit of character development to go through because things have changed so very drastically! I really like Lailah's growth and how she found the strenght in herself to finally acccept who she is, but the road there was NOT easy at all, and at times I was feeling a bit likely to shake her for being so stubborn and taking so many riks! Gabriel and Jonah both pissed me equally on the first half of the book or so! So protective, to treating Lailah like a fragile being and keeping secrets for "her own good"... I really felt like slapping them both! And even if I didn't agree with Lailah taking the riks she did, I understand that she was not happy to be told that she was superpowerful but it'd be better is she stayed home like a good girl! I did warn you about plot twist and unexpected revelations and I should also warn you about a massively evil cliffhanger (I had been warned, and it helped, but not that much!!) and also... *whispers*thelovetrianglegetsresolved*whispers* but I won't say ANY more since you really need to read it to see how it all makes sense! Portia by Christina Bauer Book Blitz!! 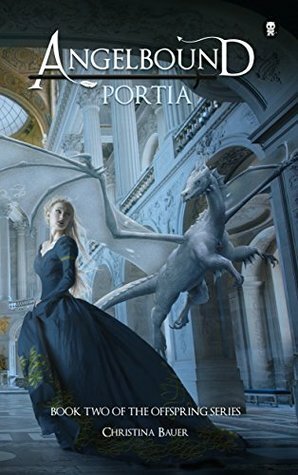 Today I'm delighted to be part of the Book Blitz for Portia by Christina Bauer, organized by Xpresso Book Tours!! I fell in love with Christina's first book, Angelbound and I'm so happy to continue reading about the adventures of the characters in these following books! There will be a giveaway at the end of this post, so keep an eye open for that, but first, more information about Portia! Unlike her famous older brother Maxon, Princess Portia isn’t known for killing demons or attracting admirers. The reason why is simple: a spell was cast on Portia, and the magic has marked her to one day transform into a dreaded Void demon. To fight this horrible fate, Portia’s spent her life hiding in libraries and learning magic. But when the Void demons threaten to destroy all the after-realms—and the handsome dragon Emperor Tempest offers his help—then Portia suspects that her future holds more than just a demonic metamorphosis. Fate is calling the bookworm princess onto the battlefield, and it’s a fight against both deadly enemies and her heart’s desires. May be read as a stand-alone. My heart beats at double speed while I rush up the staircase to the Ryder mansion. After pulling open the fancy wooden door, I step inside a large and empty foyer. Well, it’s almost empty. The President of Purgatory is waiting for me. Not good. Even worse, her mouth is pressed into a thin and frustrated line. No question why she’s unhappy. My lecture on Magic Across The After-Realms should’ve started twenty minutes ago. Gram’s tail sways warily over her right shoulder. No shock, there. Every quasi-demon in Purgatory has a tail. Gram’s variety is long and black with an arrowhead-shaped end and a mind of its own. Currently, that mind totally suspects that I’m up to something. Wolf by Wolf by Ryan Graudin Release Week Blitz!! Today I'm super excited to be part of the Release Day Blitz for Wolf by Wolf by Ryan Graudin! If you haven’t yet heard about this awesome book by Ryan, be sure to check out all the details below. I was lucky enough to read an ARC of this book (my review HERE) and I loved it! The year is 1956, and the Axis powers of the Third Reich and Imperial Japan rule the world. To commemorate their Great Victory over Britain and Russia, Hitler and Emperor Hirohito host the Axis Tour: an annual motorcycle race across their conjoined continents. The victor is awarded an audience with the highly reclusive Adolf Hitler at the Victor's ball. 1 winner will receive a signed finished copy of the book with a special WOLF BY WOLF pin. Gabriel by Nikki Kelly Release Book Blitz!! Today I'm extremely happy to take part on the Gabriel Book Blitz!! 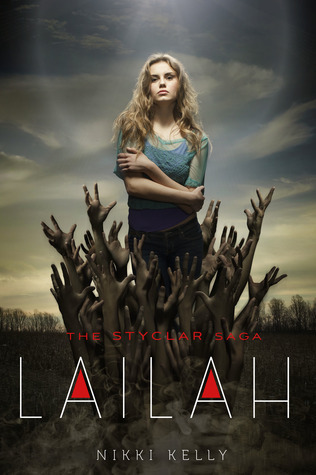 Lailah was a really unique take on vampires & angels, and I cannot wait to see how the story continues on this second book! Keep an eye on the blog later this week for a review of Gabriel too!! Mainly, I visited all the locations used in the book! I also spent some time writing while I was there of course! I think the nicest thing about my research trip was that I ended up using my Auntie and Uncle's barn conversion as a base for the property our gang find themselves staying in! Everything in the story from the barn, the village itself and various locations (including the snowy mountains) are completely real - you could even go and visit them all yourself! Naturally, Lailah and I have a few of the same traits, I think every character in my stories have a little something piece of me, whether intentional or not! But I think we can all relate to Lailah's plight, I think most of us go through a time in our lives where we are working out who we are and making choices that carve out who we ultimately end up becoming. 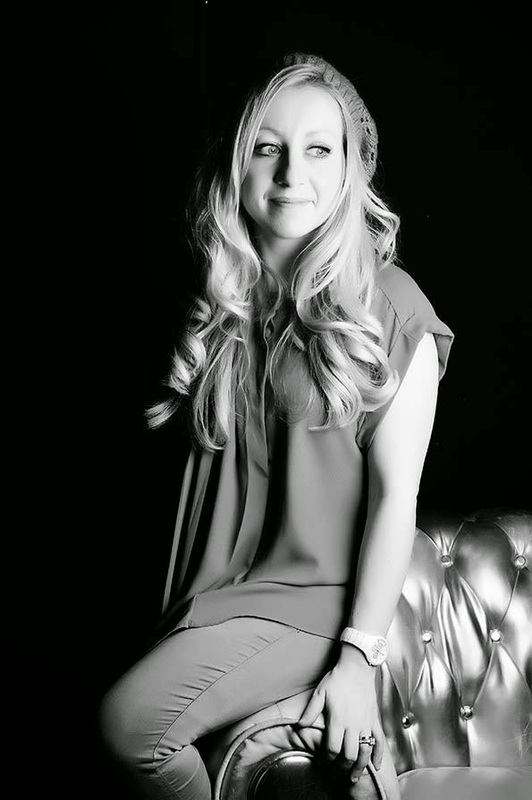 NIKKI KELLY was born and raised only minutes away from the chocolately scent of Cadbury World in Birmingham, England. 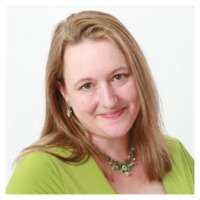 Lailah was first launched to Wattpad, an online readers and writers community. Within six months, the novel had over one million reads. Lailah is Nikki’s debut novel, and the first book in The Styclar Saga. She lives in London with her husband and their dogs, Alfie (a pug) and Goose (a Chihuahua). LAILAH is my debut novel, and first launched in serial form to wattpad, a readers & writers community. Within just 6 months, LAILAH had over a million reads and thousands of comments and votes. Friday Reads: Illuminae by Amie Kaufman and Jay Kristoff!!!! 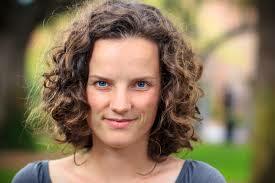 This is a scheduled post because right now I'm in Copenhagen on a rather improptu trip with Paula Stokes! I've no clue what I'll be doing but probably wandering around, seeing the sights and frowning at the signs written in Danish! But I really wanted to set up this week's Friday Reads so I could have my review before publishing date, because I read this one so early on (I have no bloody self control at all...) and I didn't want to end up getting tangled up with something else and post my review after release date! I have read many great books this year, MANY five stars but this one for sure will be in my TOP TEN list of the year!! Yup, loved this one to pieces!! I was supremely excited for this one and was one of my BEA priorities (it was the second ARC I grabbed, right after Truthwitch) but at the same time I had no idea this format of storytelling was gonna work as brilliantly as it did for me! As you might have already heard before, Illuminae is not your usual kind of book. There's not regular narrative here, because it's all comprised my memos, e-mails, internal communications, IMs, transcriptions of camera footage and some lists and many many amazing graphics all over the place! It's quite an unique way of telling a story, but one that works beyond brilliantly, and I think that a science fiction story lends itself to it perfectly! I feared I wouldn't connect with the main characters with this format of storytelling but that fear was quickly dispel as I simply came to adore Kady and Ezra within the first few pages! I was rooting for them to get back together (not a spoiler), to see what will happen with the ships, how will they survive a confrontation with the pursuing ships (that had a certain BSG feel to it, the only survivors fleeing and trying to stay alive). Illuminae simply felt like classic brilliant science fiction to me: with humour, tension, a bigger world that we can see at first but that it's there and seeps through the pages, strong human relationships and characters, small and big questions being presented for our consideration, full of food for thought and plenty of action and tension! It IS a big book, but I devoured it in one sitting with barely any stops for food & bathroom breaks, and those only when I couldn't ignore my bladder or my stomach any longer! A big word of warning: this book WILL BE LIKE THE BIGGEST ROLLERCOASTER IN EXISTENCE FOR YOUR EMOTIONS. You have been warned!! Now I need the finished copy, the next book and I'm gonna suffer the crushing book hangover this one is sure to give me! Well played Mrs Kaufman & Mr Kristoff, well played!! All the supernovas for this book!! Yeah, stars are not enough for Illumiane, it needs to be rated in supernovas!! 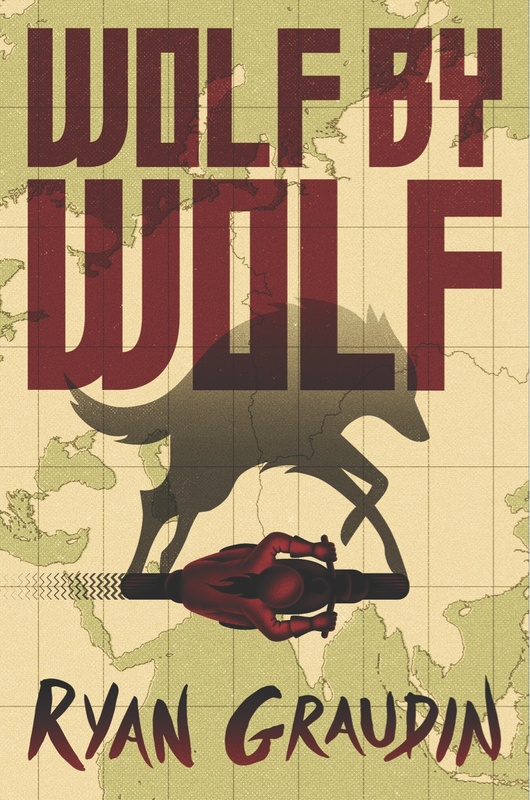 Mark This Book Monday: ARC Review of Wolf by Wolf by Ryan Graudin!! I'm back after a lil break since last week I took a trip to London with my younger nephew and I didn't have the time or energy to leave some scheduled posts! For this week's Mark This Book Monday I have one of my ARC from BEA for review and one that goes very well with my goals for October to read more diverse books because this one has a Jewish protagonist in a Third Reich victorious world, and if that doesn't make us reflect on diversity and the importance to not ignore the voices of all, I don't know what will! My first Ryan Graudin book and I couldn't have chosen a better one! WWII was always a subject that was engrossing, fascinating and revolting at the same time for me. A book with an alternate history were Normandy, operation Overlord and Day D did not happen... it's again both fascinating and beyond scary and the author handled it perfectly. Yael, our main character is as complex as they come. She was a Jewish girl taken into one of the Nazi camps and used as a the first subject in a cruel experiment by Doctor Death himself. But Yael uses her new abilities to escape the camp and finds herself with the resistance. But after all Yael is not sure who she really is anymore, who is the real she if she can be anyone? I loved how she used her pain and her memories to by her center and to feel who she really is. If you are wondering what the Wolf by Wolf title does have to do with the book, well, you very soon understand that it is extremely important and that wolves have a relevance to Yael and to the story, in more than one way! Very cleverly done by author! 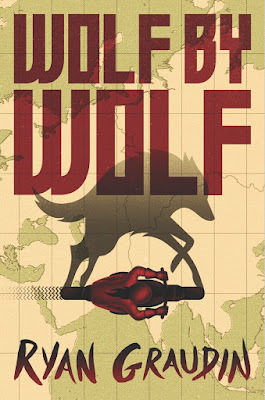 The book is told in alternating both the now and the then, as we follow the unfolding of the plot to assassinate Hitler by getting close enough to him by winning a race (impersonating a previous winner) and as we learn the past of Yael and her wolves. Jumping from one time to the other was never jarring in the story, at least for me, it managed to give an extra layer to everything that was happening in the now as well as providing context and character growth to Yael without having to insert it forecefully somehow in the main present line of narrative. The tension of the race was always there, not only in the shape of the dangers of the race itself, the tension of having to win, the rivalry and the probable dirty tactics used by rivals, but also in the risk of discovery by two people that were close to the rider that Yael is impersonating: her brother Felix, and a fellow rider that had relationship with her that was never know in a paper trail, Luka. Yael has to bluff her way through tangles of a past that she knows nothing of and avoid discovery at all costs to protect her mission, and at the same time, she finds herself tangled in Adele's life and needs more than ever to remember who she really is and what her mission means, to her, her wolves and the world. The world building was quite fascinating, not just because we visit quite many places along the race from Germania (former Berlin) to Tokyo, but also because the author has to imagine what sort of society would have emerged from a Third Reich victory. And she does that brilliantly, painting a society that keeps on making me thankful to live in the society we do, despite the many flaws that it might have nowadays! A fantastic book that leaves us with an ending that opens for even more questions and that packs quite a punch of surprises! Cannot wait for the sequel!! Very well deserved 4 to 4.5 stars! Friday Reads: ARC Review of Never Never by Brianna Shrum!! Friday is here! And since I am on vacation I kinda needed the reminder because days kinda run into each other and I'm not sure what day of the week they are anymore! I don't have any big plans for this weekend other than reading and packing for my London trip that starts on Monday! As this week's Friday Reads I have a review of an ARC that is one of the few new books I read during September (which also means that I'm quite behind on my ARCs reading...) and since it's also a retelling of Peter Pan debut, it counts towards my 2015 Debut Author Challenge! This book had been in my wish list as one of the debuts to keep in mind, and after my very talented friend Sarah made her book trailer SEE HERE and then I got super excited and requested it from NG as soon as I saw it there! Thank you so much to Spencer Hill Press for approving me! Never Never is a fascinating story with a voice that change and progresses as the story does and grows as James does. The writing is very visual and it wraps you into the story with ease. Sometimes I was a bit confused because it seemed we switched from first person to third person for small periods of time and that was a bit disconcerting, but served also as a way to enhance the storytelling quality of the story. Retellings aren't exactly my favourite thing to read, but when they are done from a different POV and even more if the POV is from the villain of the story... I'm all in! And Never Never succeeded in giving us a new perspective on not just James Hook but the entire Neverland story and of course, Peter Pan! I've never read the original story (I know, I know...) so my only Peter Pan knowledge comes from two movies: the Disney version and Hook with a grown up Peter. Now reading Never Never made me think of how we sometimes lighten up tales that were darker in origin and I wonder if the original story also had this darker undertones. Peter is an intriguing character, a forever child, one that has not grown to learn compassion or empathy and that is selfish and egotistical and doesn't see further that his own wants and needs. Even with a certain selective memory to forget what he doesn't like and no remorse for his choices. I feel like he is a mix of the worse qualities from a toddler and teenager mixed together! We meet James Hook as a child and one that doesn't want to remain a child but wants to grow up, so him going to Neverland seemed like a bit of a doomed choice, one destined for unhappiness. He is fascinated by Peter Pan but he is never a Lost Boy, so he finds himself growing apart from Peter & the boy and growing up into a pirate, with an unhappy heart full of resentment. He's not exactly the hero nor the villain of his own story, not really. He hates Peter Pan and not without reason, but he finds himself in a position with very limited choices and he doesn't always make the best ones either. He's such a nuanced character, full of hate, love, longing and remorse. Tiger Lily is a much more present character that I ever saw in the movies and so glad of it, because she's a very strong female character that also has to make some really hard choices. Some that would even touch on the clash between destiny, purpose and free will. The ending of the book can't be considered a surprise, given how it follows the original story, but after everything that we went through in the book it does pack quite the emotional punch! A very much deserving 4 stars for this stunning debut! Looking forward to reading more from Brianna Shrum for sure! And because I've kinda liked the idea of adding a song that matches the feel of the book or makes me think of one of the characters, I will add a song that has very much the same emotional vibe for me, specially the ending of the book! Hello October, you're looking good this year!